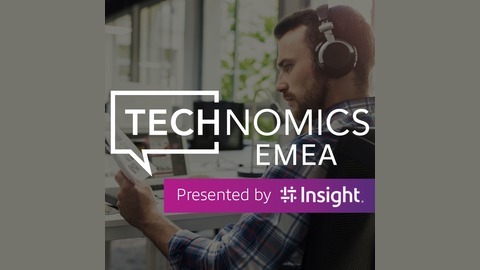 Technomics is an Insight podcast series where the worlds of technology and economics meet. Technology is rapidly changing the way we live, work and play. Marketplaces are evolving at an unprecedented rate, so keeping up with the latest technological trends and IT strategies has never been more important for an organisation. 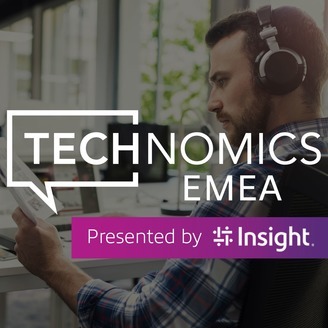 In this series, Insight speaks with IT experts across different businesses and industries, to discuss the future tech trends, solutions and business challenges. For business leaders, the era of mobility brings two choices: disrupt or be disrupted. More flexibility, greater access and increased collaboration are all requirements from today’s workforce, and they’re not going to go away. New game-changing technologies from cloud computing, IoT, artificial intelligence, virtual reality, augmented reality and 5G means organisations have a plethora of tools at their disposal to empower their workforces and improve productivity and collaboration. In this episode we help you navigate this culture change and share the benefits of a new mobile economy. Cloud has moved on, have you?